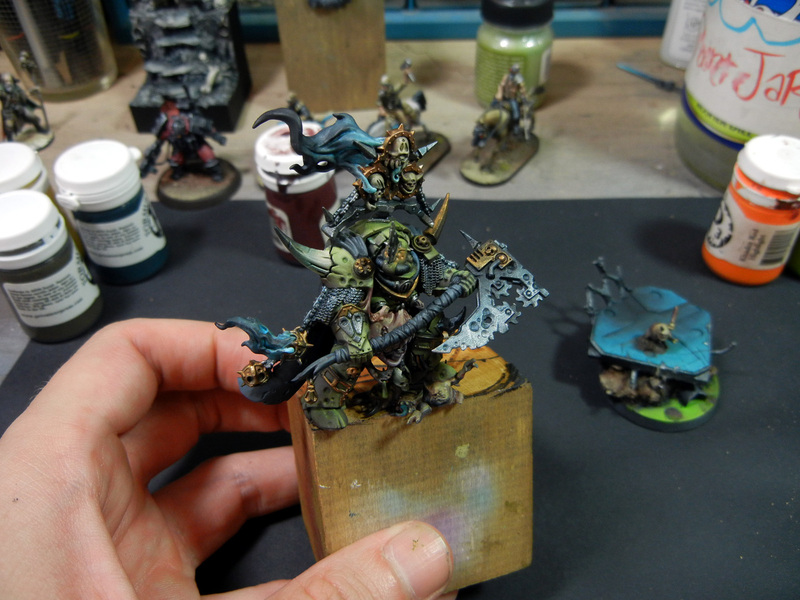 Amidst the commissions sometimes I have to do a out of sync painting to keep the mojo flowing. 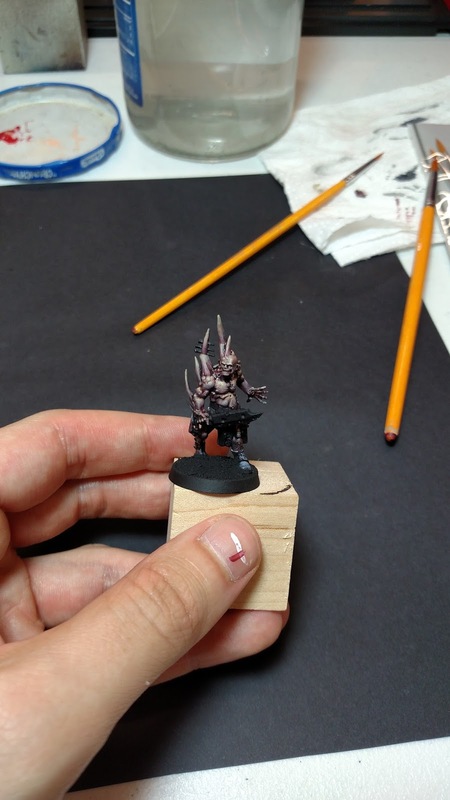 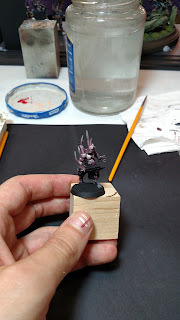 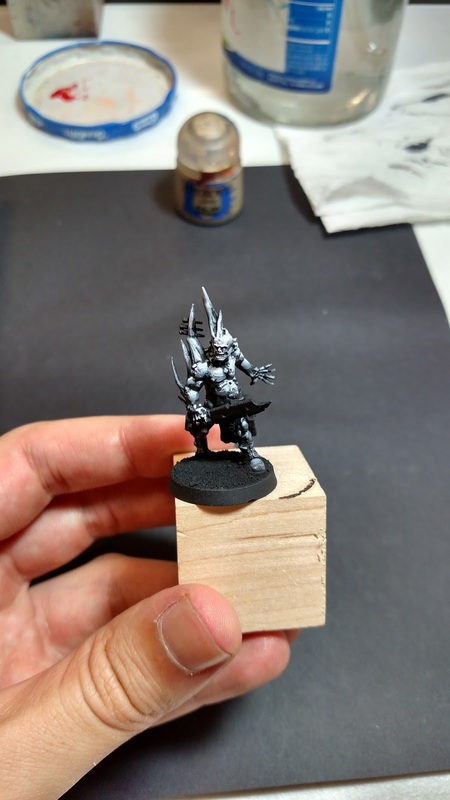 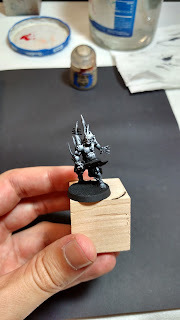 Inspired by the Nurgle models painted during the class I held in Minneapolis and still having some figures left, I started slapping some paint around. This won't be a competition piece and isn't for anyone in particular, just for the fun of it :) and then most likely Ebay. 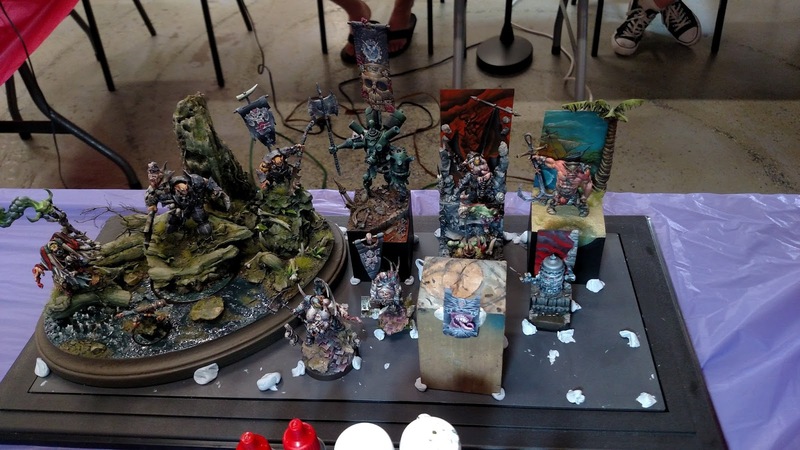 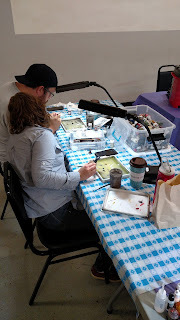 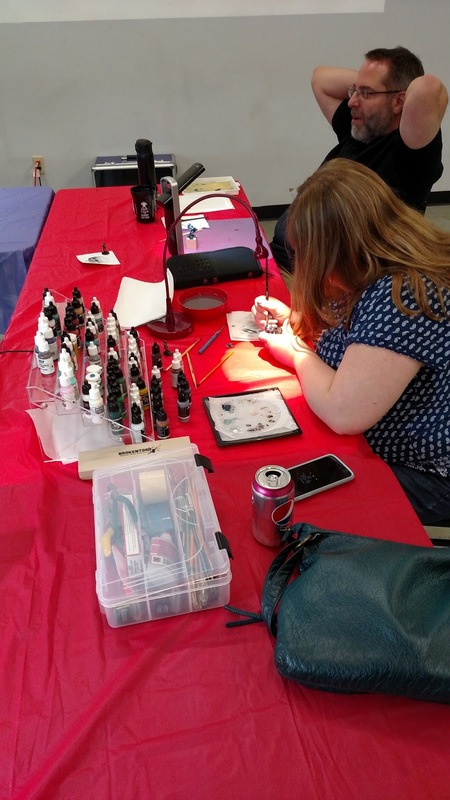 As the title suggests, I was in Minneapolis last weekend teaching a two day course on the fine art of miniature painting. This was the first of it's kind for me, I've taught shorter seminars at conventions and one on one coaching but never an intensive weekend course with a group. My goal was to train everyone in the variety of techniques I've learned over the years, and wrap them all together. 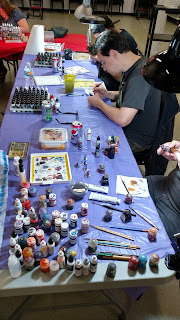 As a warm up, I had people work on a two dimensional surface to get their blending muscles warmed up. Then we moved on to some value sketching and over toning. 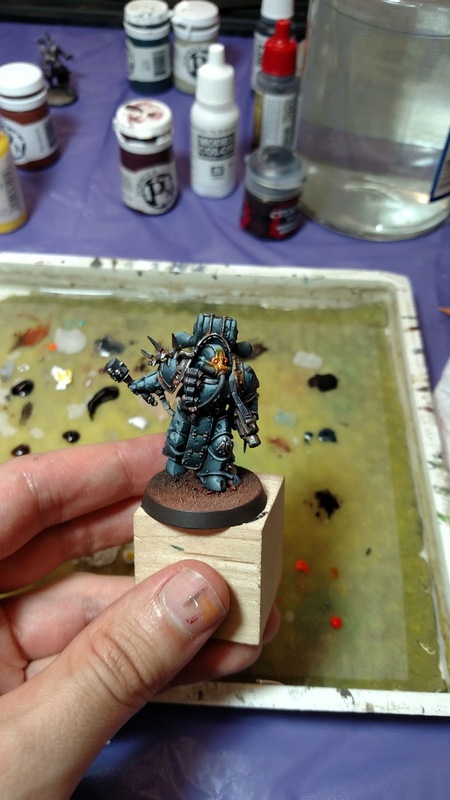 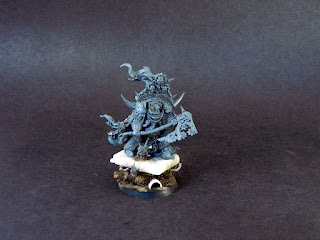 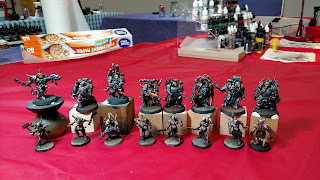 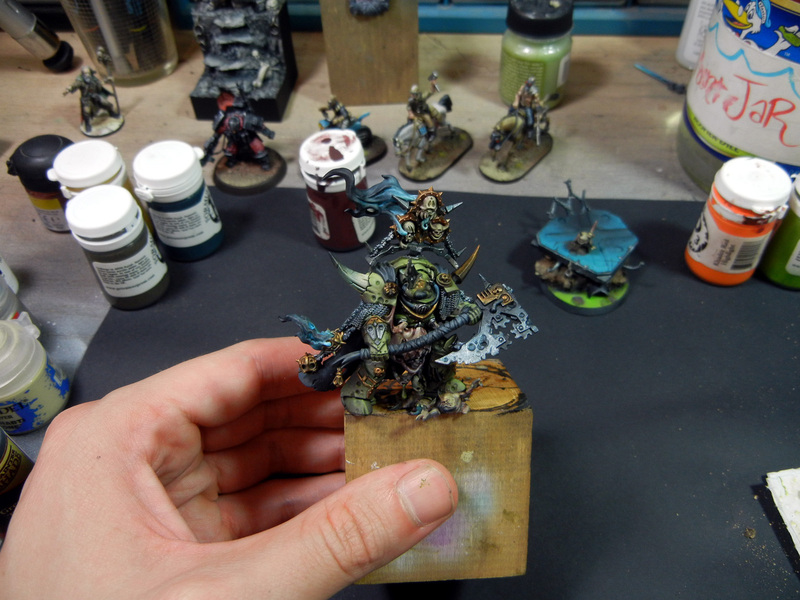 Still moving through the first day we began wetblending on some plague marines. 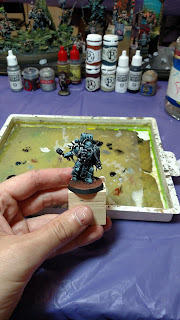 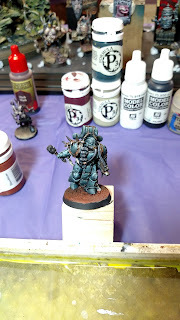 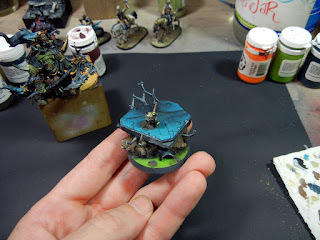 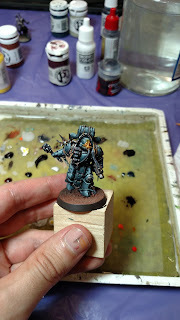 The next day would be spent refining that technique as well some insight into color theory and quick OSL demonstration. 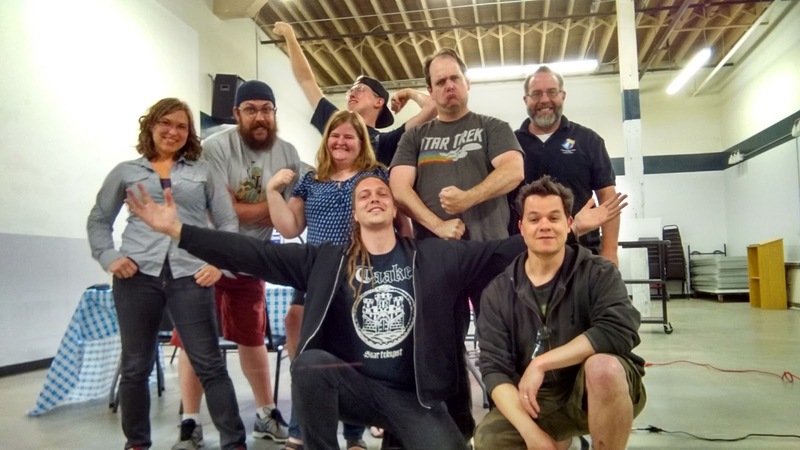 This was a great experience and I feel I've planned the seed for many good things to come. 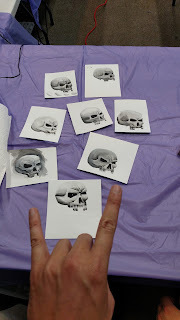 A huge thanks to all my students who attended, it wouldn't have been possible without you. And also a shout out to Scott, the Miniac, who arranged this who excursion. I'm.looking forward to more mini centric activities with you buddy!